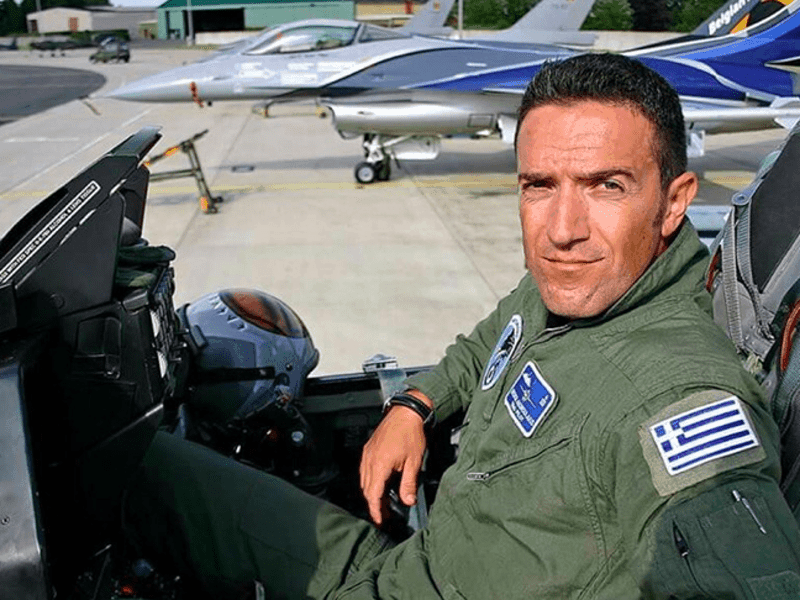 The body of heroic fallen pilot of the Hellenic Air Force, flight lieutenant Giorgos Baltadoros, whose Mirage 2000-5 crashed in the sea area nine miles off the northeast coast of Skyros on Thursday, upon his return from intercepting Turkish jets over the Aegean, was retrieved on Friday. The experienced pilot’s body was spotted by local fishermen along with debris from the wreck at 9.30am in the morning, some 22 hours after the fatal crash. The fishing vessel’s crew was among the boats participating in the search operation carried out since the accident that cost the life of 34-year-old Baltadoros, father of two. 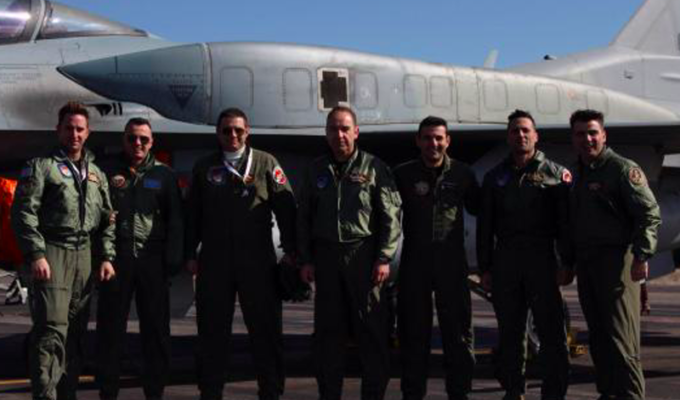 The operation to collect as many remains of the Mirage 2000-5 as possible will continue throughout the next few days, as Hellenic Force experts are expecting to get “answers” on the cause of the crash from the jet’s fuselage which is believed to have sunk to a depth of 300 meters. While Baltadoros’ neighbourhood of Petroupolis in Athens are flying flags half-mast in honour of their beloved fallen pilot, his funeral will take place on Saturday in Morfovouni, a village near the town of Karditsa, Central Greece, where the heroic pilot was born and raised and is still the place of residence of his parents and other relatives. By order of National Defense Minister Panos Kammenos, flags at all Greek military units are also flying at half-mast for three days. On his behalf, Deputy Minister for Social Insurance Tasos Petropoulos announced that the widow and the two children of the fallen pilot will receive a full pension, while in an unanimous decision the Greek Parliament confirmed it will “adopt” Baltadoros two children, providing them with full child support until they reach adulthood or, if they pursue university studies, until they turn 25. 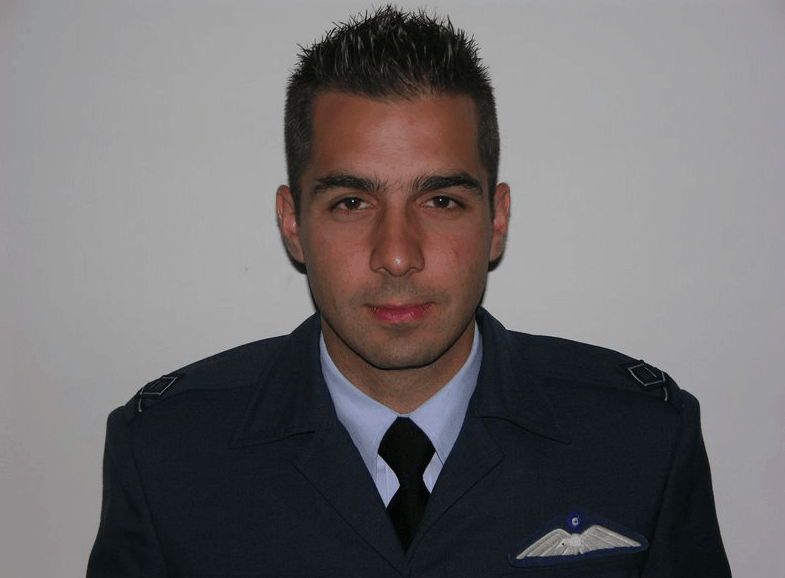 The pilot’s widow and children, in addition to the pension, will receive 18,000 euro per year. Baltadoros’ basic monthly salary did not exceed 1,180 euros, while same rank officers in Turkey receive 1,600 euros. 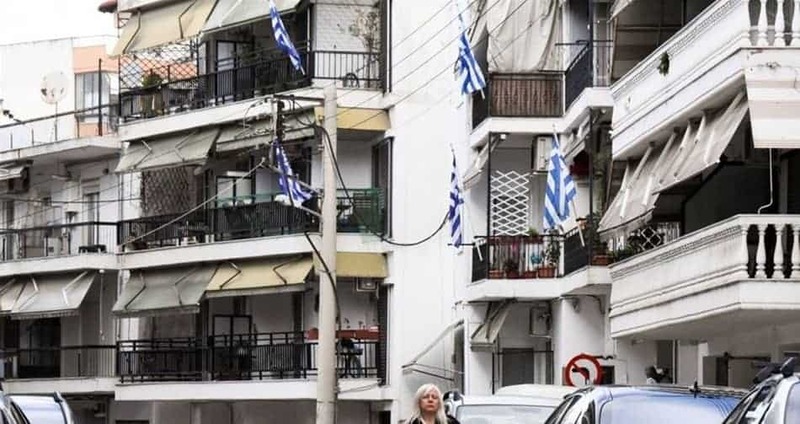 “The decision reflects the Parliament’s commitment to helping his family”, Greek Parliament President, Nikos Voutsis said. Condolences to the family and the colleagues of Baltadoros were expressed by President Prokopios Pavlopoulos, who said the Greek state would never forget his contribution. Prime Minister Alexis Tsipras expressed his deep gratitude for the young man’s contribution to the country’s safety, while Turkish Prime Minister Binali Yildirim also expressed his and Turkish President Recep Tayyip Erdogan’s condolences over the death of the Greek pilot on Thursday, in a telephone call to his Greek counterpart.